Every year a new committee runs Cambridge Development Initiative. 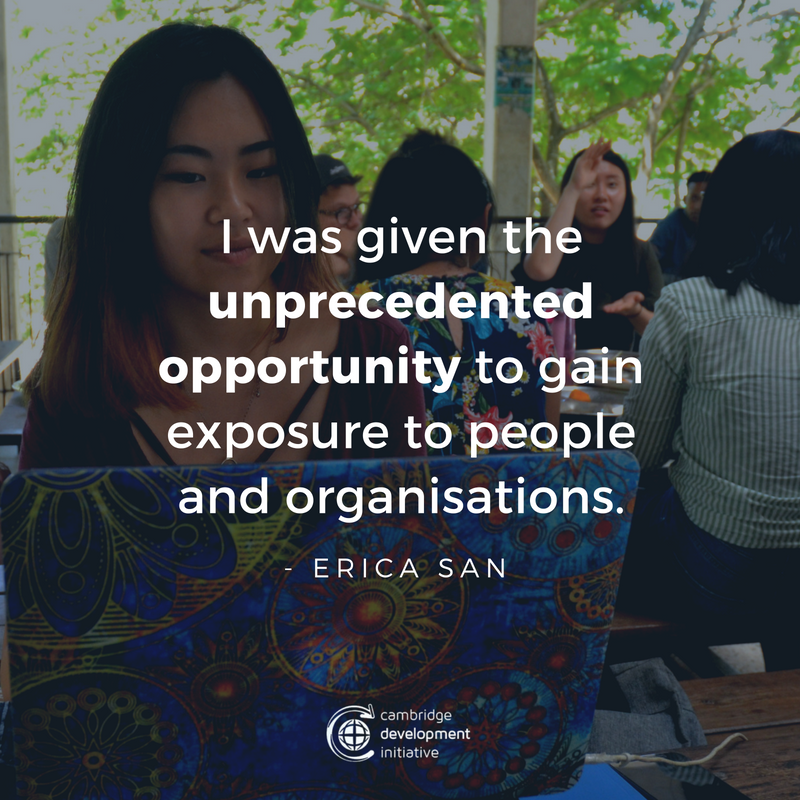 This provides an unparalleled opportunity for students to oversee an entire organisation and manage a team of over 40 while implementing hands-on, community-based development projects. 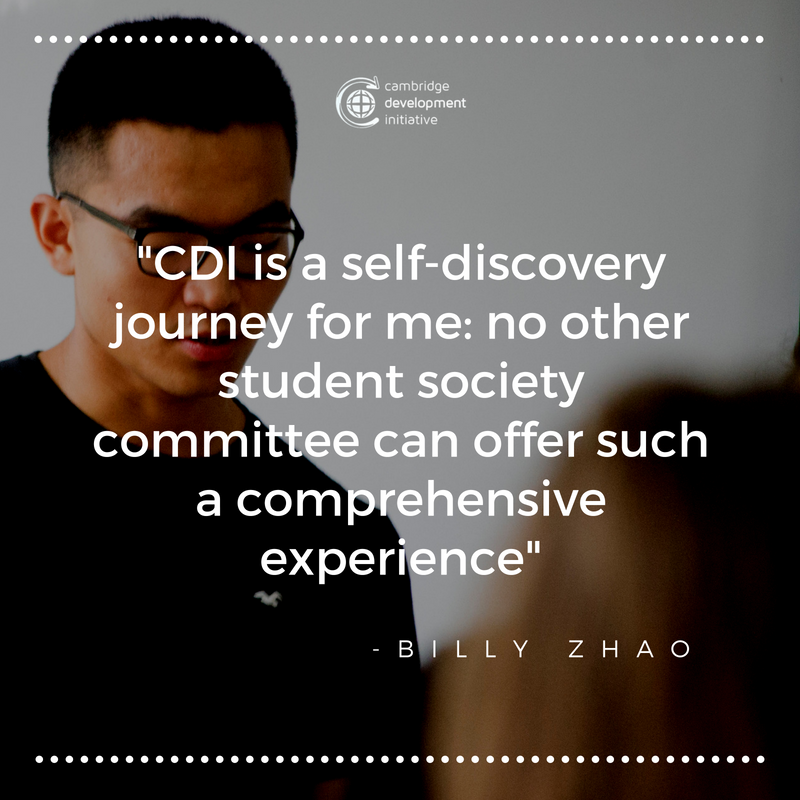 The CDI founders and the Board of Trustees support the student committee to ensure that the committee is equipped with the advice and skills to run the organisation successfully. The predecessor in each position is also available for advice and support throughout the year. 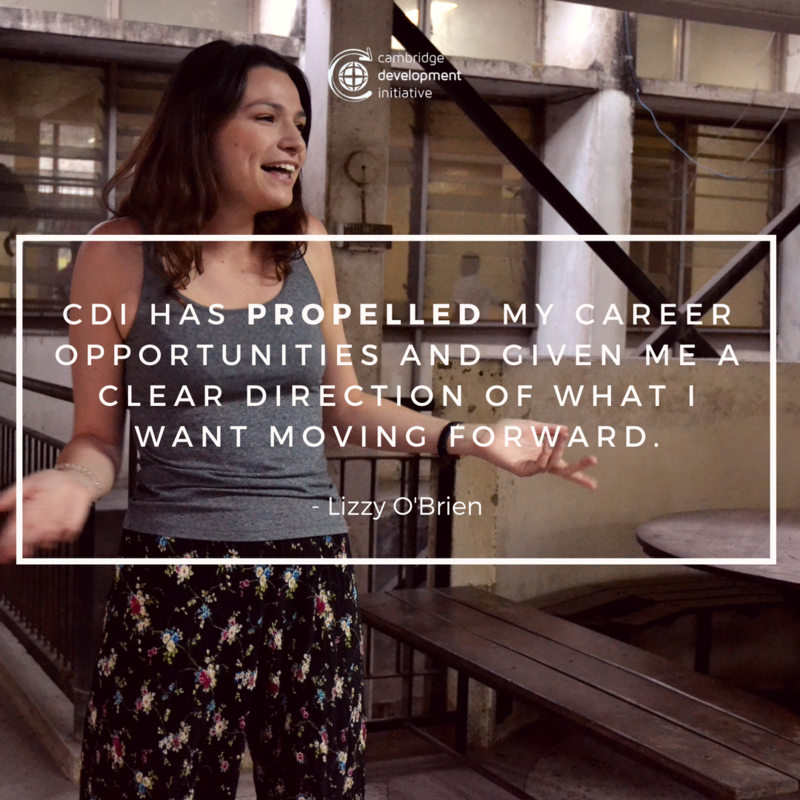 Applications to volunteer with CDI are NOW OPEN! 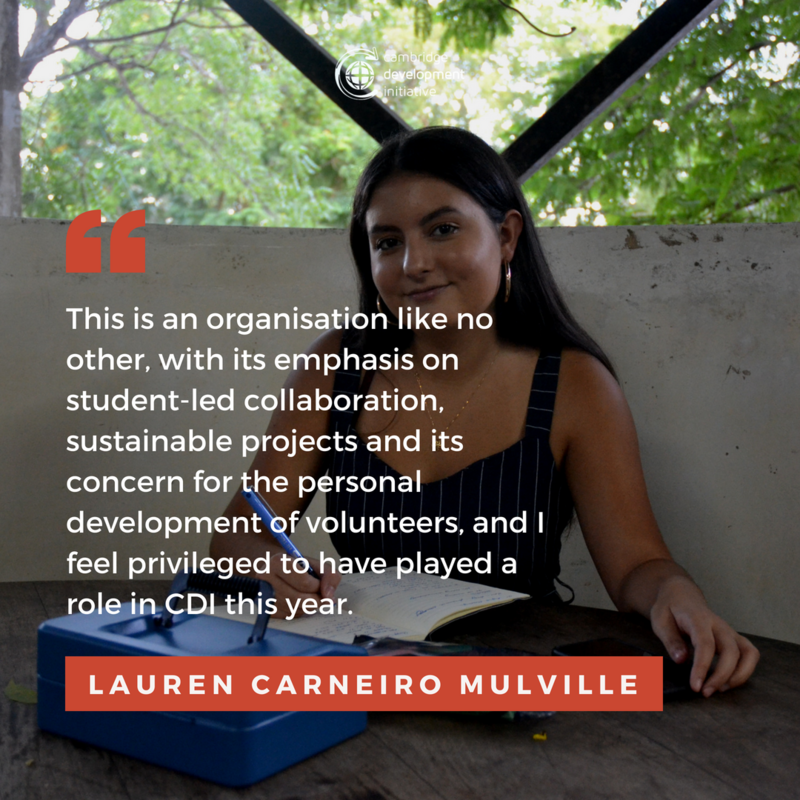 Each year, approximately 30 volunteers from the University of Cambridge, and 30 volunteers from Dar es Salaam’s universities, are recruited to work full time on our four projects. They undergo a comprehensive training programme and meet weekly to plan collaboratively for the implementation of the projects. 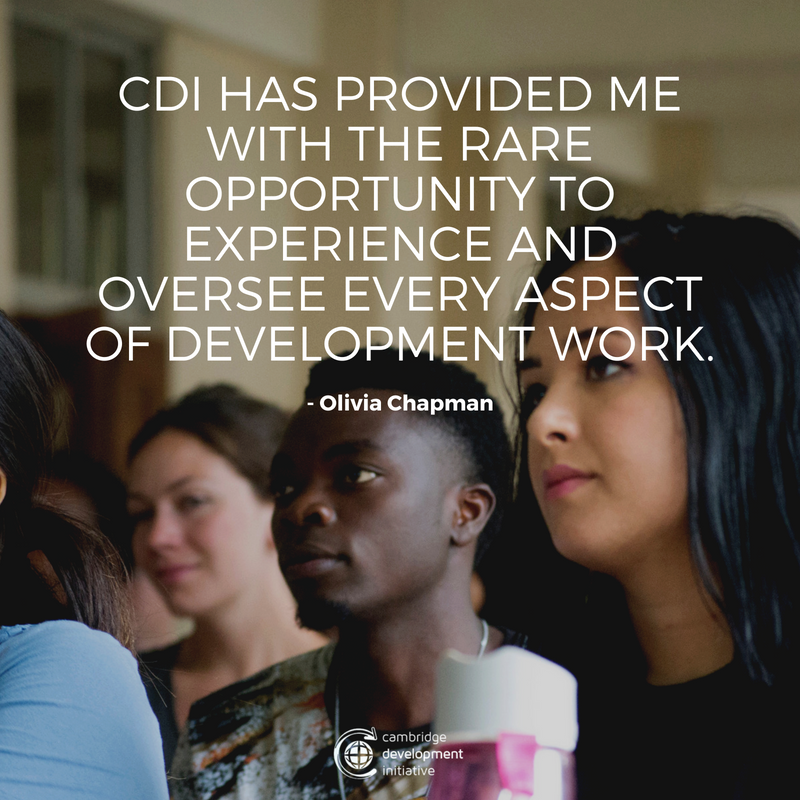 Then, at the end of the university year, CDI runs a 2 month programme in Dar es Salaam, from mid-July to mid-September. 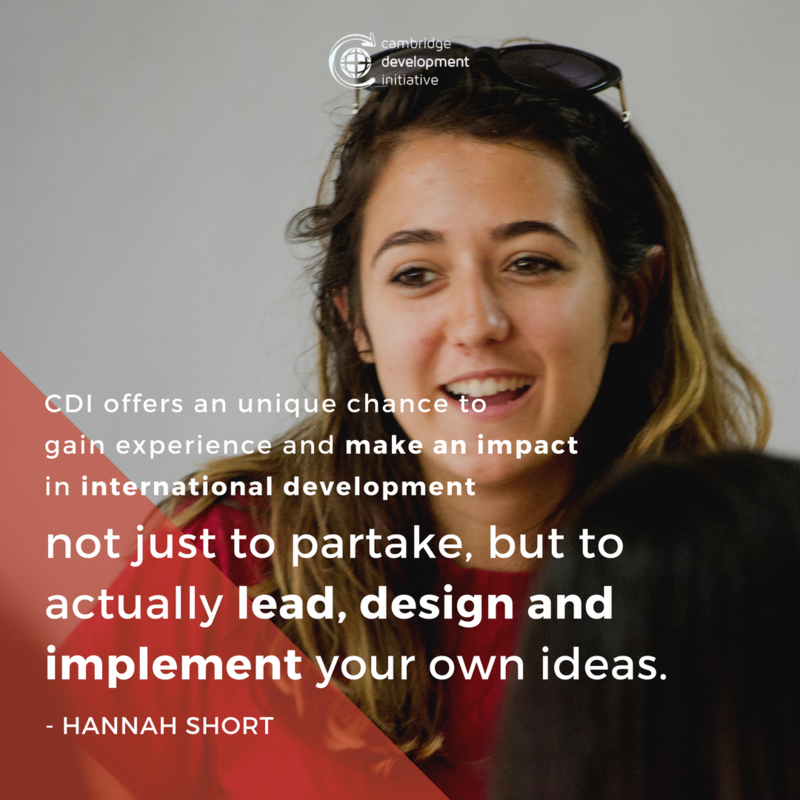 During this period, the CDI project teams carry out an immersive mixture of project implementation, key partner meetings, government engagement and impact evaluation. 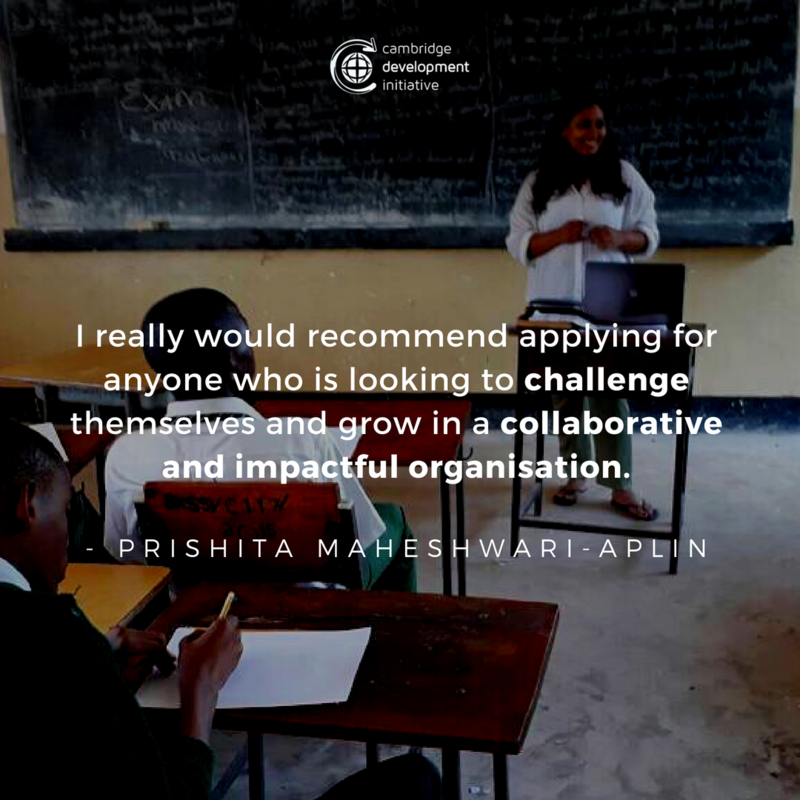 We are always looking to forge more partnerships, and collaborate with NGOs and other organisations striving to bring about impactful and innovative change. 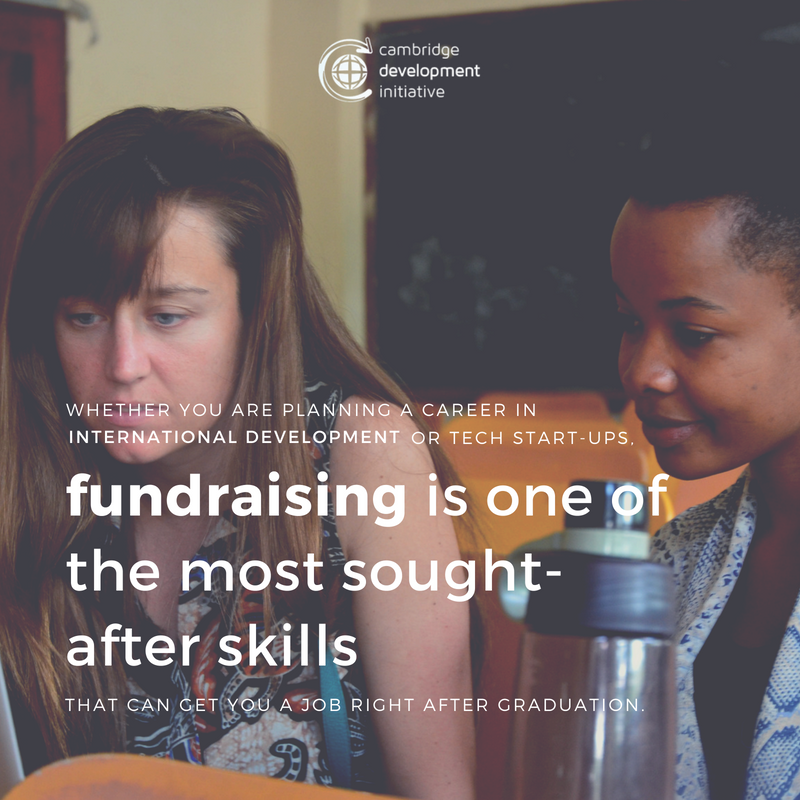 CDI is a not-for-profit organisation, and we therefore rely heavily upon grants and donations.